As you know, I’m a second year Geography student, and when I heard about The Unibox*, I knew I wanted to give it a try! 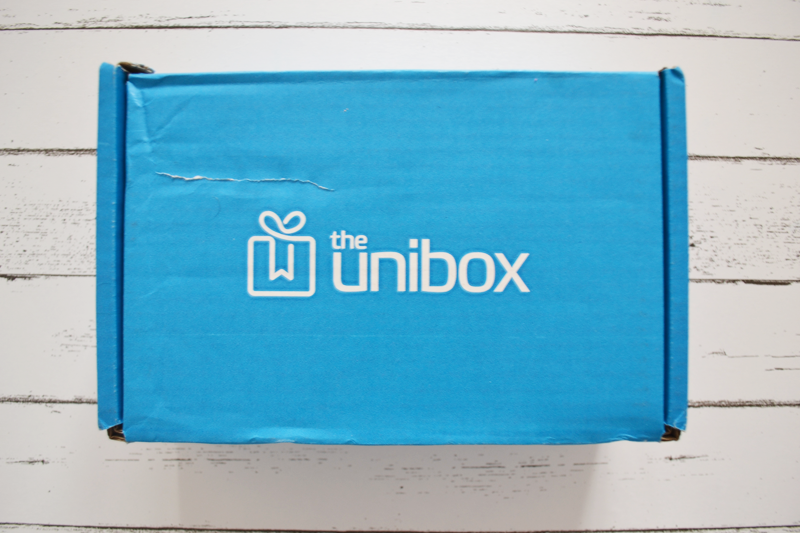 I love the idea of all subscription boxes, but one catered especially for students? Perfect! The idea of the Unibox is so cute – it’s a care package for parents and friends to send to university students while they’re away from home. Luckily for me I barely ever go a month away from home, but I know if I did, getting this through my door would make the distance and university stress a lot easier. In the March box I got a body wash (always need that), some yummy looking popcorn, some herbal teabags, a high protein chocolate bar, a flapjack bar, some super adorable rainbow sticky notes, some cute sticker reminders and a room spray to help me sleep at night. At first, I thought the idea of designing a subscription box for students would be a difficult task, but I can totally see why all of these products would be perfect for any student! The snacks not so much. but who doesn’t love food?! My favourite item have to be the stickers from Department Store for the Mind, we all know I’m a sucker for motivational words and these are right up my street! All the items are full sized, and you get a good mix of things each month. 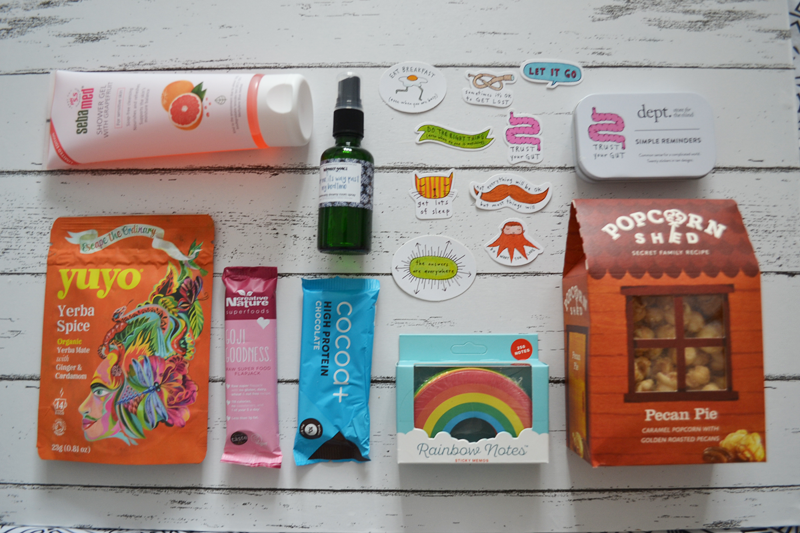 I especially love the fact subscription boxes introduce you to new brands you may have neve heard of before! Overall, I think this is the perfect little gift to receive for anyone needing a bit of a pick me up, not just for students! "Top tips for keeping organised"